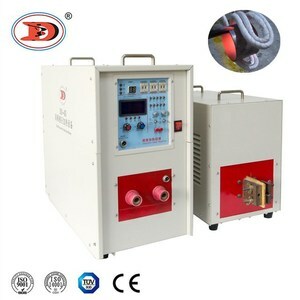 Advantages of separated transformer: 1. in induction heating machines, the high frequency transformer is separated from the generator, with 2 meters connecting cable at least. 2. it is suitable to use in the dirty or corrosive surroundings, the generator can be put in a clean space to increase the reliability. 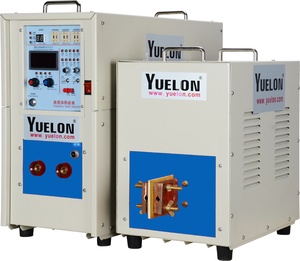 3. with the small size and light weight of the separated transformer, it is convenient to use in the production line and easily assembled inside the machinery or moved mechanism. 2. Please give us the input power in your factory, so we can evaluate suitable model for you. 4. Details of Price please chat on-line or email us. Maintenance: On-line & on-site technical assistance. 4. Constant current or constant power status can be selected accordingly to achieve higher heating efficiency; 5. Display of heating power and heating current and oscillating frequency. All our products are divided into four major series according to the frequency: Medium frequency series (abbr. Our services Before sales Our professional technical recommend the right machine,and can also customise special machine as customer&rsquo;s requirement and special parts. &bull; Heat treatment for various electric tools, such as gear and axes. &bull; Heat treatment for machine tools,such as lathe deck and guide rail. &bull; Forging of various other metal work pieces, such as round steel, sheet/plate, pipe and others. hardening machine tool matched induction quenching machine Induction quenching machine mainly consists of machine tool, medium or high frequency power and cooling device. hardening machine tool matched induction quenching machine Vertical CNC Induction quenching machine struc ture feature: 1.Lathe: adopt welded structure with good rust-proof functions. Sales following During machine production, watching the machine quality and testing machine. 2. Recommend the most suitable machine for customers, according to their requirements. 4. If any big quality problems occurs out of the guarantee period, we will send maintenance. 5. We provide engineer visiting service after checking with the customer and charge for a reasonable price. 4. M achine tools, such as lathe deck and guide rail. 5. V arious hardware metal parts and machined parts, such as shaft, gear (chain wheel), cam, chuck and clamp etc. 6. H ardware molds, such as small-size mold, mold accessory and inner hole of mold. 1 &rarr;Heating No. 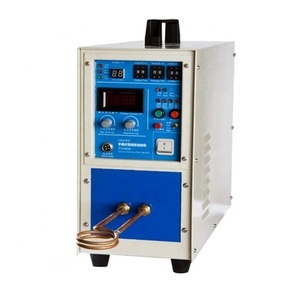 &le;950 &#8451; constant and adjustable 5 Induction tempering temp. &le;450 &#8451; constant and adjustable 6 Temp. 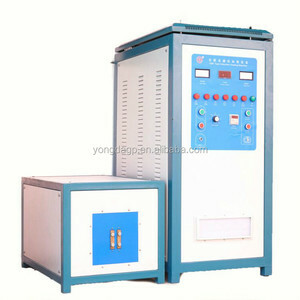 Alibaba.com offers 4,879 induction hardening machine products. About 49% of these are other metal & metallurgy machinery, 22% are industrial furnace, and 1% are other machine tools accessories. A wide variety of induction hardening machine options are available to you, such as free samples, paid samples. There are 4,869 induction hardening machine suppliers, mainly located in Asia. The top supplying countries are China (Mainland), India, and Germany, which supply 99%, 1%, and 1% of induction hardening machine respectively. 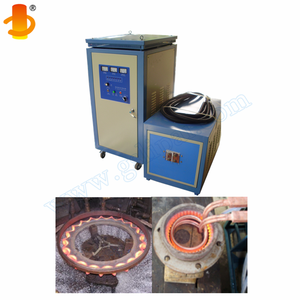 Induction hardening machine products are most popular in Domestic Market, Southeast Asia, and South Asia. You can ensure product safety by selecting from certified suppliers, including 1,695 with ISO9001, 164 with Other, and 23 with ISO/TS16949 certification.